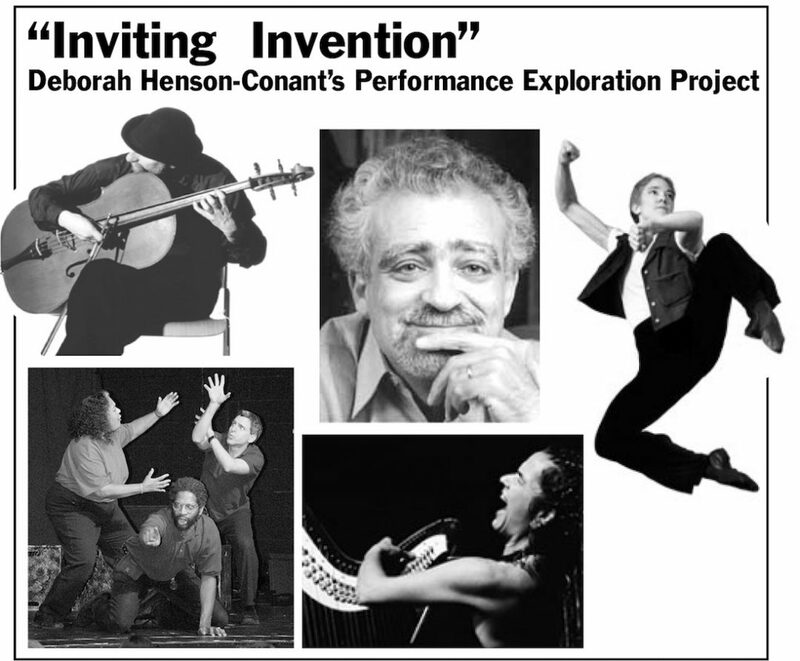 “Inviting Invention” is a performance exploration I originally presented with my co-host Jonathan Wyner and invited guests from diverse fields. Each show combines performance, interview and onstage improvisation, inviting the audience into the worlds of creative invention and the alchemy of collaboration. Example: how is being a nuclear physicist like being a musician, and how can the two possibly create something together – right now – in front of an audience? The concept originated with a six-week series at the Regent Theatre in Arlington, MA in 2007 and was then invited to the Cambridge Science Festival. The first half of the show included an introduction to the “Inviting Invention” concept: we asked the audience to view the two presentations they were about to see in terms of what creative experiment, exploration or question they’d like the two presenters to explore together in the second half of the show. Our special guest would then present a basic 20-minute overview of their work, followed by a 20-minute segment where I’d share my own work. We’d the invite the audience to propose an experiment or a question they wanted us to explore together after the intermission. During intermission, the guest and I would discuss how we might explore or illustrate what the audience proposed and after intermission we did the experiment, followed by a longer Q&A session with the audience. Radio journalist Tony Kahn had talked about the power of music to underscore his radio stories, so he invited a member of the audience to the stage for a spontaneous interview, and I underscored it in the moment as the story the interviewee told unfolded. With chemical experiment specialist Daniel Rosenberg, the audience wanted to see and hear the translation of a chemical experiment into music, and to experience what a duet between a chemical experiment and a musician would sound and look like. Why did we create “Inviting Invention”? 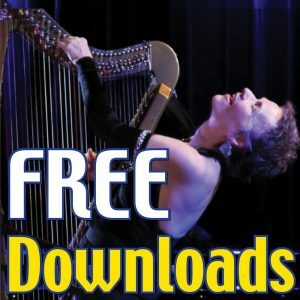 Producer Jonathan Wyner and I had spent 2004-2007 completely immersed in an artistically and technically demanding project: I’d been given a major private grant to produce a broadcast-quality CD & DVD of my original music with full symphony orchestra. That was a pinnacle life project – a chance to share my orchestral work at the highest level of professional production. It was a dream come true – and it was also extremely stressful. Everything had to be perfect. We had a huge film crew, high-definition film equipment, an orchestra of 80 musicians,an Emmy-Award-Winning director, a Grammy-Winning engineer, one of the most creative conductors in the US. Everything was riding on our work. Add a 2007 Grammy Nomination for the CD and a nationwide PBS debut for the video into the mix, and we were exhausted when it was over. So, for a follow-up project, I wanted to just expand creatively and play. I’ve always been interested in science and ideas, and in how seemingly disparate concepts seem to create a new window for looking at life when you look at them together, so we envisioned the ‘Inviting Invention’ Exploration Series as an opportunity to allow diverse creative minds a chance to invent something new and completely imperfect in front of a live audience, yet within the safety net of exploration. Emphasis on the idea of ‘imperfect’ and on the spirit of experimentation and collaboration. I also wanted a chance to simply ‘play’ on stage with people I’ve wanted to work with for years – and after the intensity of the last three years, I just really need to play – in every sense of the word! The original series was very successful and the project was invited to the Cambridge Science Festival.